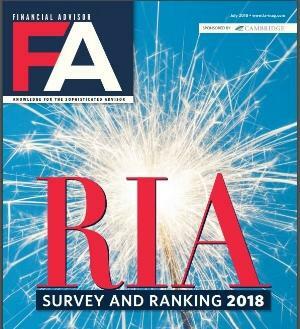 Morling Financial Advisors is honored to be included in Financial Advisor Magazine's annual ranking of investment advisory firms. The annual ranking recognizes top firms based on assets under management for individuals and families. "It is privilege to serve our clients and we are honored to be recognized within the community of independent advisors," commented Matt Shibata, managing partner. Morling Financial Advisors is a 100% privately-owned, independent wealth management firm that manages over $200 million in assets under management. Full description, ranking, and methodology can be found here.